Henri de Toulouse-Lautrec (or simply Toulouse-Lautrec) was born today November 24th in 1864 in Albi in the Tarn region in the South of France (not too far from Toulouse). First son of the Comte and Comtesse Alphonse de Toulouse-Lautrec-Monfa, he was a famous French painter, lithographer, and illustrator from the 19th century. He is well-known for his billboards covering the cabaret life of Paris. 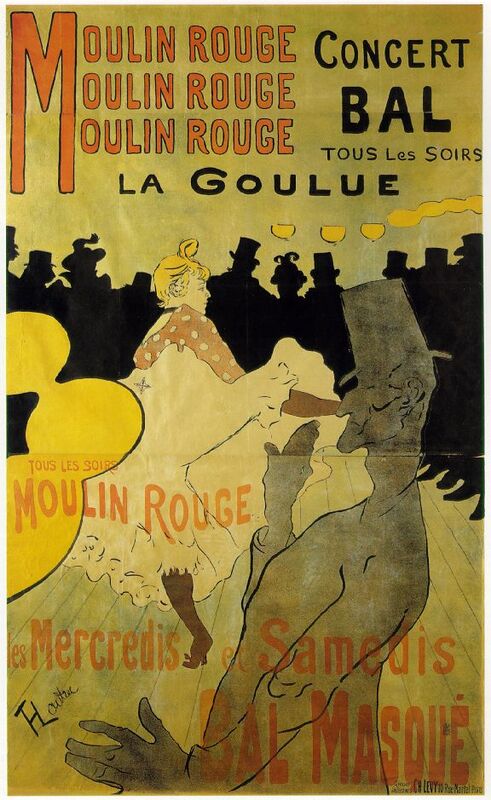 Some of his art is shown in the Orsay Museum in Paris but you can find most of his artwork in the beautiful Toulouse Lautrec museum, set in the XIIIth century former episcopal palace right there in Albi, Toulouse-Lautrec’s picturesque hometown. They feature over 1,000 of his art work, including many of his famous billboards. So let’s visit Toulouse-Lautrec’s gorgeous hometown and take a tour of the Museum dedicated to his life and work. Allons-y (let’s go)!